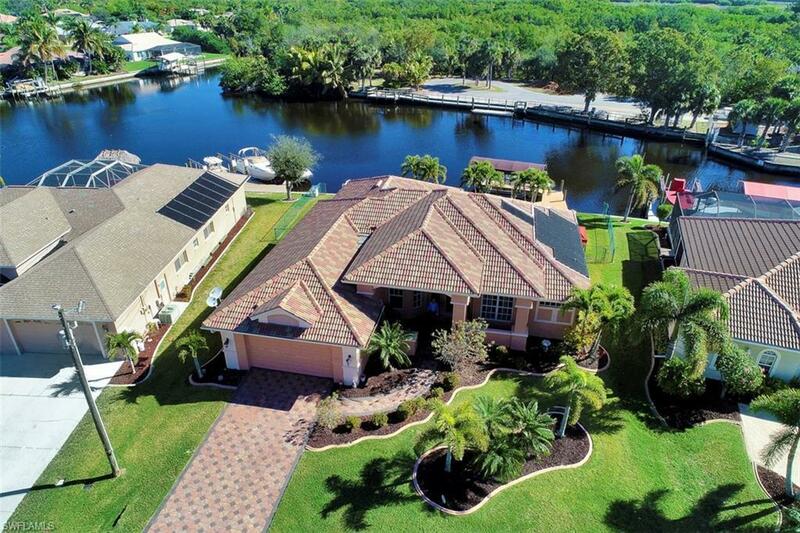 Absolutely STUNNING Gulf Access Fully Furnished home located in one of the most desirable waterfront neighborhoods in the SE Cape Coral. Itâs truly a hidden gem with views of the protected nature preserve and Eco Park. This home has wide expansive waterfront views from your master bedroom, living room and lanai. Kitchen features wood raised panel cabinets, and granite counter tops. Covered boat lift with walk around composite dock. Beautiful mature landscaping, pavers driveway and sidewalk, tile roof, custom built pool with spa. Pool has solar and electric heat with waterfall, shallow end for lounging, all with remote control operation. Home comes with a 12 month warranty, be sure and view the drone video. This home is waterfront living at its best.